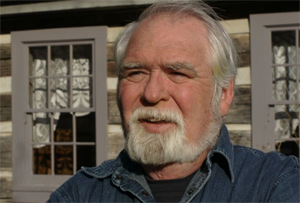 Larry Elmore has a broad span of experience in the fantasy industry. His primary area is cover illustrations. Larry has done work for role-playing games, comics, paperback books, hardcover books, magazines, computer games, toys, and cards. His art has been published by all major publishers of paperback books and role playing games. Elmore is best known for his covers for the original Dragonlance novels. He has co-authored one paperback book, Runes of Autumn. Larry is also the creator of the world of SovereignStone. The first trilogy of SovereignStone hardback novels is entitled The Well of Darkness and was written by bestselling authors Margaret Weis and Tracy Hickman. Larry presented this world and its epic story to Margaret and Tracy as "a project that we could all have fun with." The SovereignStone role-playing game was subsequently released. Elmore makes Dragon Con an annual event. It is one of his favorite, if not the favorite, convention he attends. "I have a great time at Dragon Con and see a lot of old friends and make new ones each year. I love talking with people, and I want everyone to feel free to come and visit me at my booth." Larry resides in Leitchfield, Kentucky, and has a studio in his home.